The Freaky Frog dry slide. 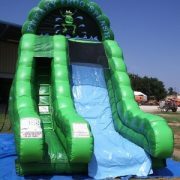 Perfect for all ages, this slide adds another affordable slide for birthdays or special events. 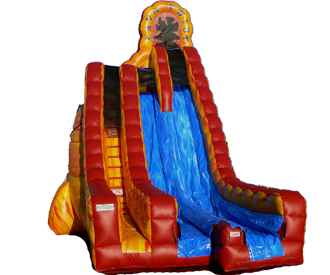 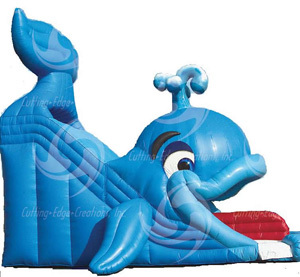 Once again Fun Source adds a slide that children will absolutely love. Complete with frog graphics and fun ballpit at the end this 18ft. 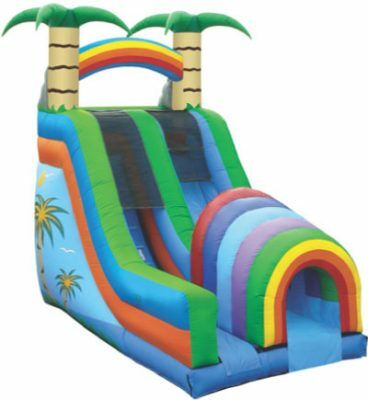 slide will be sure to be a hit. 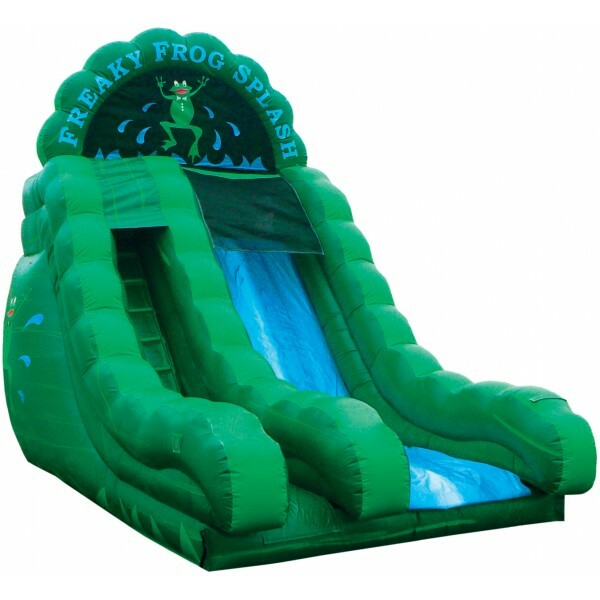 The Freaky Frog slide requires a regular household outlet for power… FUN SOURCE IS NOT RESPONSIBLE FOR POWER NEEDS. 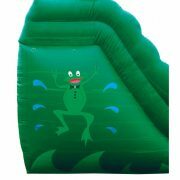 We do rent generators should you need power for your event. 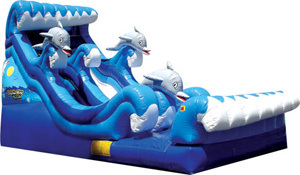 One generator will power 2 inflatable blowers.